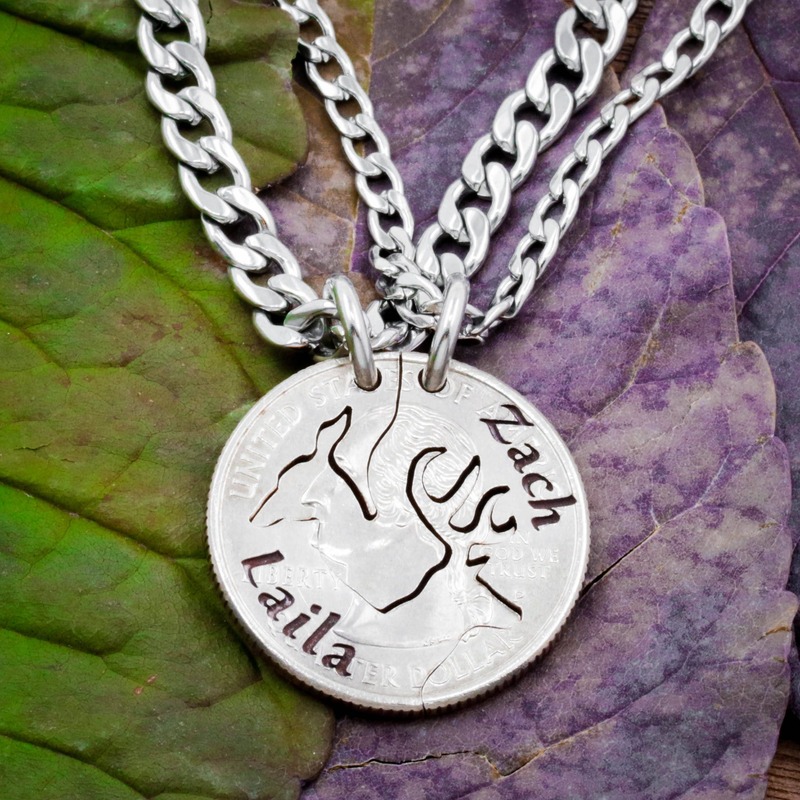 Have you and your loved one's name etched into each side! 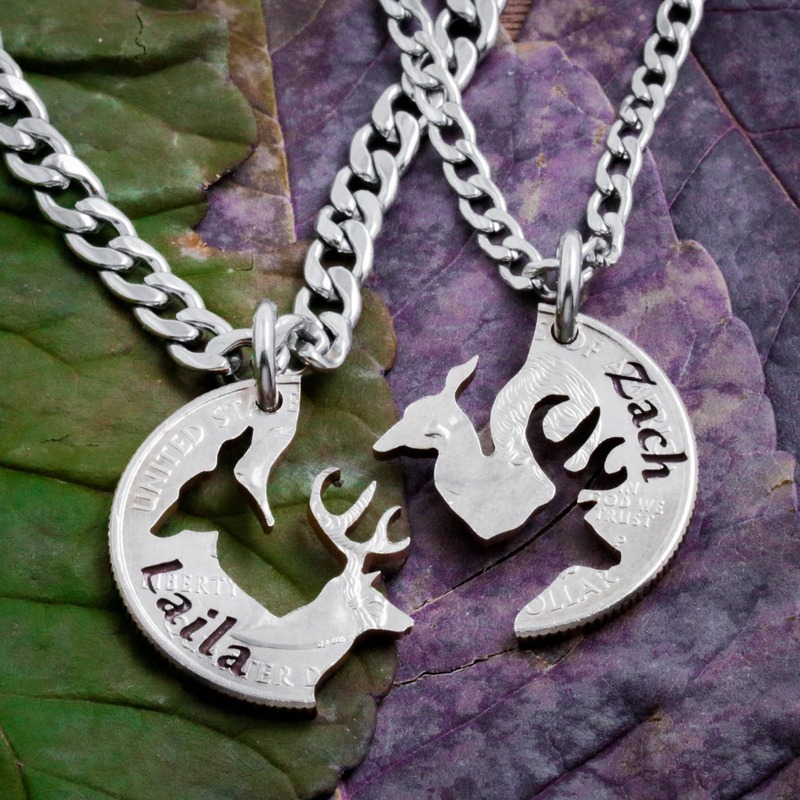 This is the original buck and doe couples design that is cut by hand in a coin and turns into 2 perfect necklaces. But now you can choose for us to engrave names into each side. Just let us know in your order comments. The buck and doe interlock perfectly and fit like a puzzle. 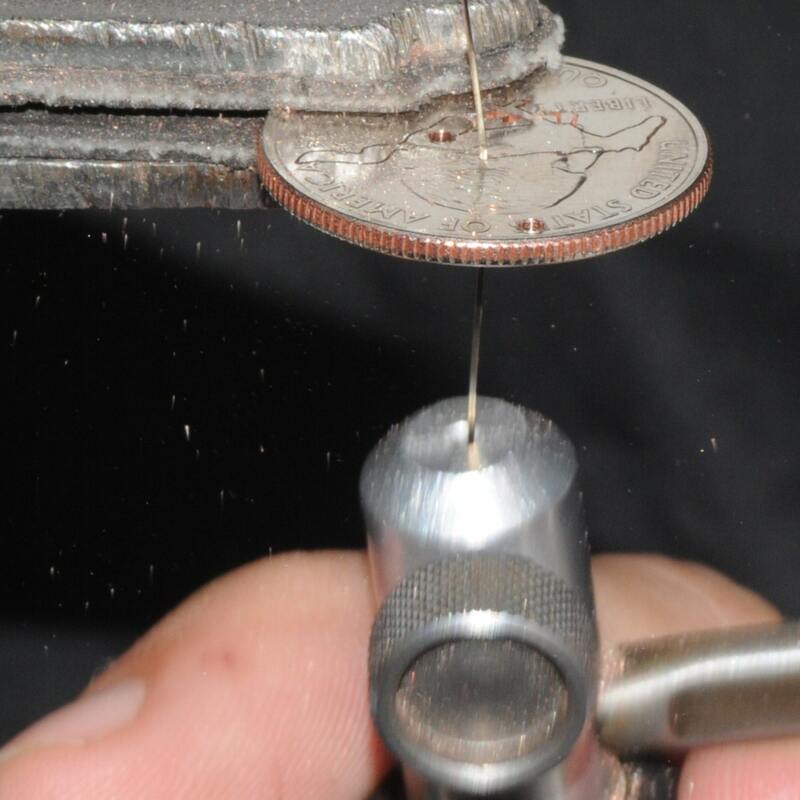 Every detail is meticulously cut by hand with a small jeweler's saw. 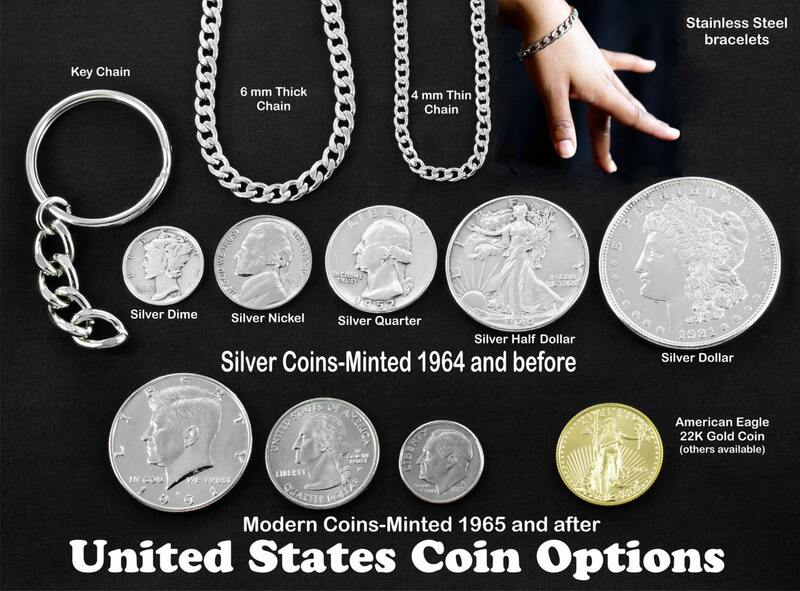 If you like the design but want it cut in silver select a silver coin from the options. Our work is especially beautiful when in silver. The other option lets you choose your chain lengths and link thickness. 20"thin means 20 inches long with thinner link shown in the Doe side in the main picture. Want to make this more personal for your relationship? Have it with initials, https://www.etsy.com/listing/115565022.